Submitted Photo Several women from the Mina Aasen Daughters of Norway Lodge attended camp Skogfjorden to immerse themselves in the Norwegian language and culture. 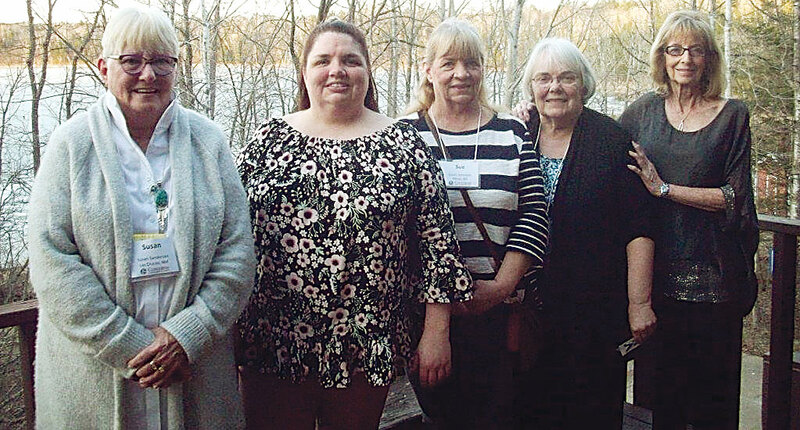 In April, several ladies from the soon to be Mina Aasen Daughters of Norway Lodge in Minot attended Norwegian Language Camp “Skogfjorden,” which is located on Turtle River Lake, just north of Bemidji, MN. The four-day adult language program of Concordia College immersed them in Norwegian language, culture, games, and food. Each day they had a two-hour learning session in the morning and again in the afternoon. The Norwegian flag was raised each morning as they sang the Norwegian national anthem and a fun exercise included learning Norwegian folk dances early in the mornings. All of their meals were served in the dining hall and the meals were all based on Norwegian foods, which taught words for the Norwegian food culture. In the evenings their education continued with presentations, including the mountains of Norway, and Norwegian storytelling where they watched a children’s movie about a stick man (Nisse) which was in Norwegian with English subtitles. There was lots of singing as they learned songs in the Norwegian language. On Wednesday, June 13 at 5:30 p.m., those interested are invited to come and meet the women who attended the camp. 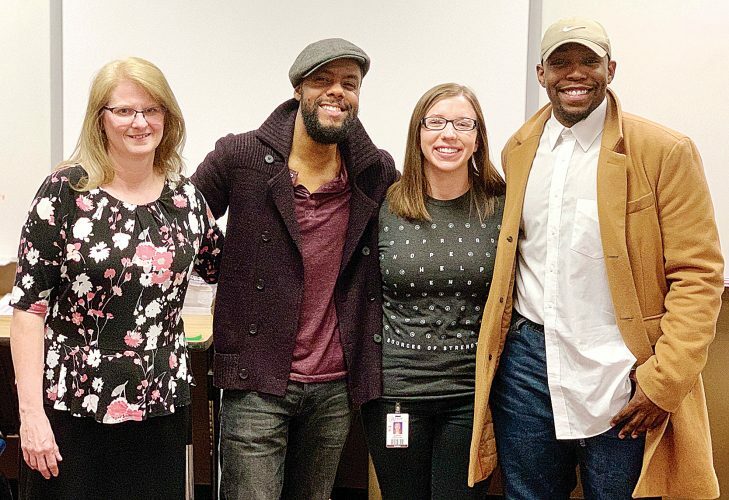 They will share more about their camp adventure and tell about the three degrees of “Uff-Da.” A light dinner to be served in the south room of the Minot library will be held, along with a special raffle prize drawing. Nordic women are encouraged to join these summer meetings in preparation of becoming a charter member of the new Minot Daughters of Norway. The Institution of the Mina Aasen Lodge #55 will be on Sept. 25, at 6 p.m. at Zion Lutheran Church. They invite potential members to attend at least one meeting before that date. The Minot Library, is located at 516 2nd Avenue SW. 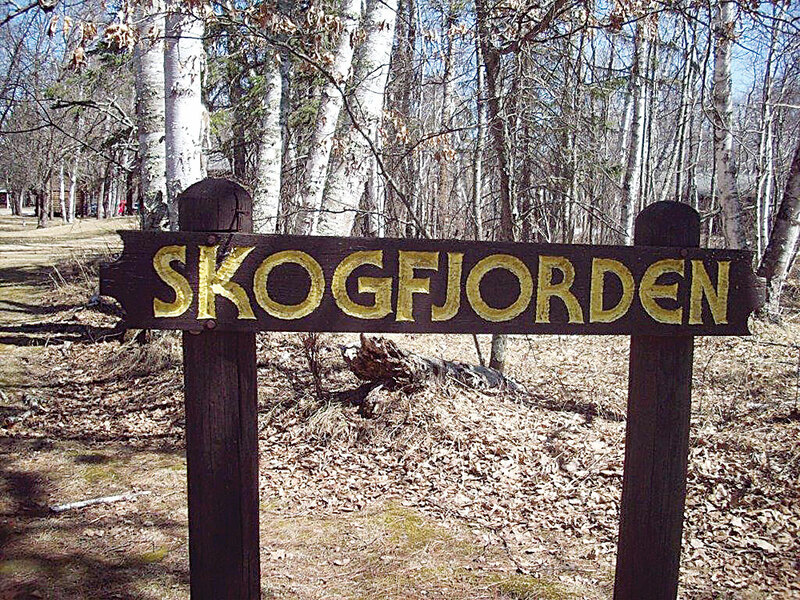 Submitted Photo Norwegian Language Camp “Skogfjorden,” is located on Turtle River Lake, just north of Bemidji, Minn. Potential members interested in attending this event should call Sue at 838-5710 or send an email to norskjill@gmail.com.